The local aviation sector has achieved impressive growth, but its infrastructure has not kept up with the nation’s overall development, said an official from the Ministry of Planning and Investment, at a workshop in Binh Dinh on April 11. The workshop was aimed at seeking solutions to promote the sustainable growth of the Vietnamese aviation sector. Pham Van Hao, deputy head of the Civil Aviation Authority of Vietnam, said at the workshop that although Vietnam’s aviation sector is a young industry, it has seen double digit growth in the past decade. The number of planes in the local aviation sector has tripled, from 60 in 2008 to the current 192, with 57 planes being owned by Vietnamese airlines. Also, the average longevity of the local aircraft fleet has been some 5.8 years, compared with 8.8 years a decade ago, said Hao. He added that the sector has recently witnessed the participation of the private sector, including budget airline Vietjet and fledging carrier Bamboo Airways, a subsidiary of property developer FLC Group. Their involvement has made significant changes in both the quantity and quality of the sector, he noted. Further, the respective numbers of domestic and international flight routes have reached nearly 60 and 130, compared with the 2008 figures of 25 and 54. He ascribed the robust growth of the sector to the Government’s economic renovation policy. The sector has much room for growth, thanks to a large population and their increase in incomes. “Despite robust growth, competition in the sector requires putting safety first. The roles of aviation regulators are to manage customer safety, ensure healthy competition, and harmonize the interests of businesses and localities, as well as guarantee the quality of passenger service,” he stressed. Also, speaking at the workshop, Dang Tat Thang, vice president of Bamboo Airways, said competition in the aviation market is not only between airlines, but also between the public and private sectors. In the aviation market, when there is competition, this will bring benefits to passengers. “Competition is to grow together, not to win over competitors or to make the situation worse. 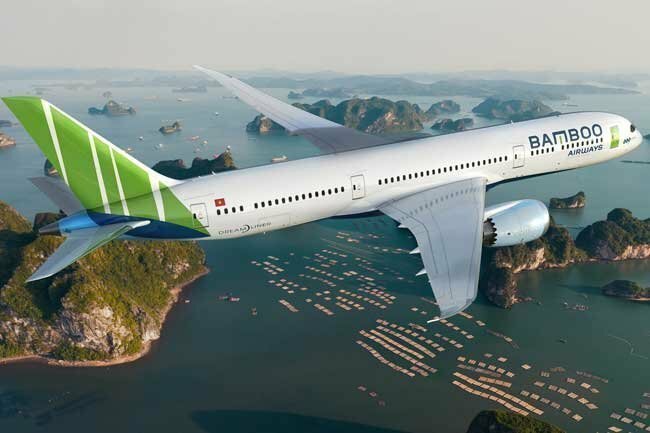 When entering the aviation market, we determined to compete through the quality of service, safety, comfort and many new products,” Thang said, adding that Bamboo Airways will open new routes to potential localities. Do Duc Tu, a representative of the Department of Infrastructure and Urban Centers under the MPI, said the explosive growth of the aviation sector has resulted in more services and aircraft, but has also entailed some risks, since the current infrastructure has yet to keep pace with the civil aviation development space. Tu explained that the warnings about overload at the International Tan Son Nhat Airport were made three years ago. This is why the Government has raised its capacity to 50 million passengers annually.